Nevertheless, Mariam and I were outside the house. Events began to overtake us until eventually all Yarmouk’s residents were forced to leave it after rebel forces entered it and regime aircraft started to bomb the district, sparking a mass exodus. Sometimes abbreviation is necessary, not in an attempt to exclude certain events, but to avoid painful memories. While her father was unaware of it, Google Maps was tracking his movements via his phone as he and Meriam tried to enter Bulgaria and Greece from Turkey in September/October 2014. He realised this data was being saved after he arrived in Greece. In November 2012, we left Yarmouk. Our semi-stable life had come to an end and the journey into immigration and alienation started. We moved to the countryside around Damascus, where we were refugees without work. 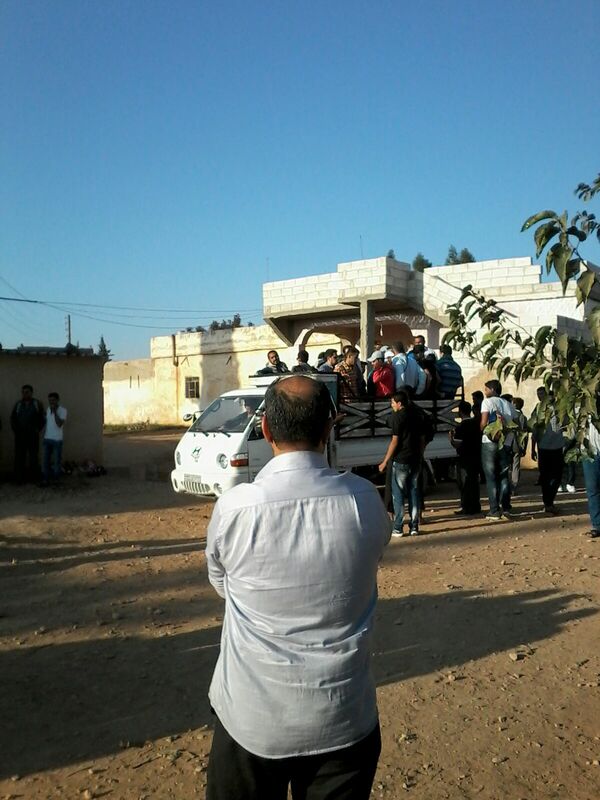 The first stop was in Qudsaya, where there were no schools. We rented a house with Mariam’s aunts. At the beginning, we were five families – 23 people – sharing the only available house, which consisted of two rooms and one living room. After that we separated into two houses, then into three houses. 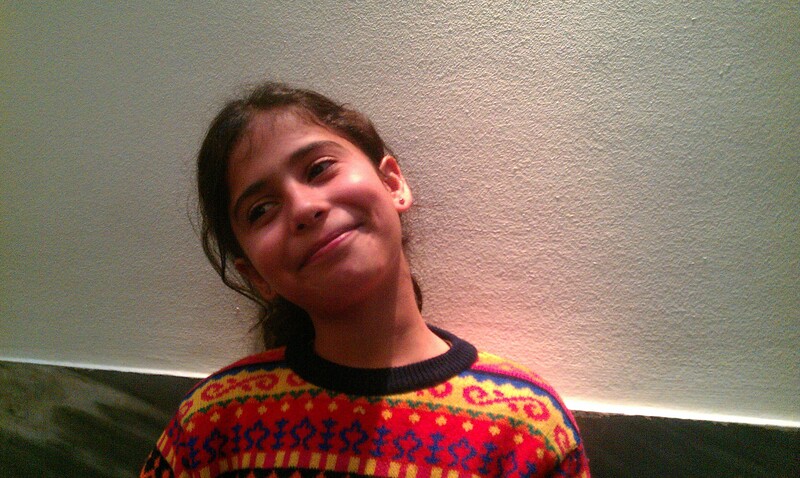 Mariam stayed with her aunt, who took care of her until she subsequently left. Mariam went back to school in very difficult conditions. As the conflict heated up and the bombings increased, death loomed everywhere. The amount of blood on the streets was unbelievable. Only the rain could wash it away. That was Mariam’s maths lesson. This is what her childhood gained from these events. Consequently, the number of people living in the house we were staying in increased, so we left Qudsaya and moved to the nearby village of Al-Hameh. Our stay there didn’t exceed one month and we moved again after the fight and bombing had raged. 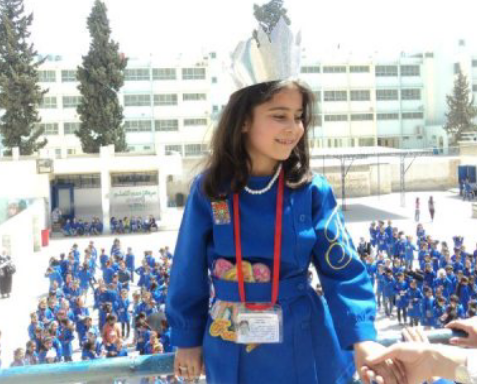 The academic year ended, Mariam excelled and moved to the third grade. We made every effort to find a place in the coastal city of Jableh, as it comparatively far away from the bombing and there were possibilities to find a job there. However, because of the sectarian thinking that had come to dominate in Syria, we couldn’t get on as we don’t belong to the Alawite sect that controls the city’s economy. 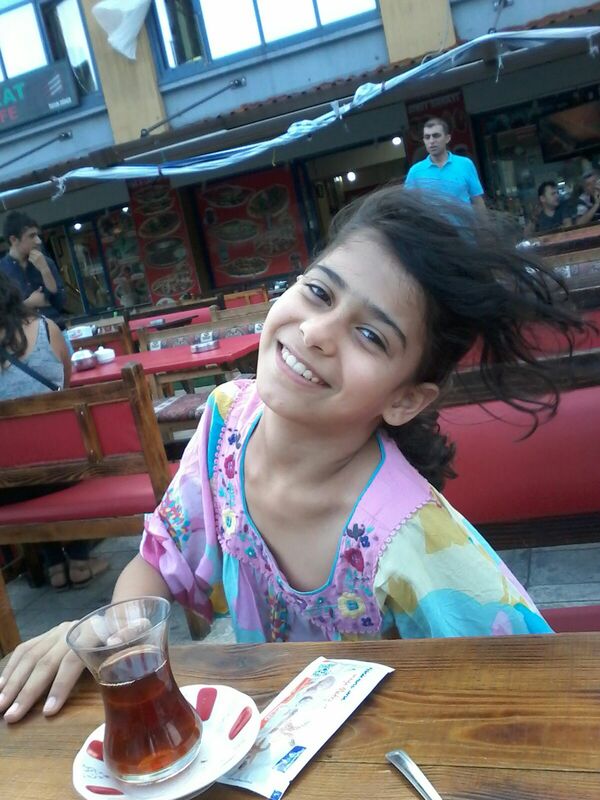 Mariam lived her dream to be away from death and bombing; she had kept asking me to escape as she didn’t want to die. She thought that we would live in peace in Jableh as she believed that war is only about bombing. Unfortunately, she didn’t realise that war is not just about bombs: there are conflicts of different types in every city. However, we went back to Qudsaya and stayed in a shelter for refugees. Mariam lived there for two months, but the catastrophic war made living conditions there very difficult. It wasn’t a safe place for children as there were rumours that there were sexual predators there and no one could stop them as the area was subject to the power of the strongest. In order to protect Mariam, I decided to leave there. After that, we headed to Lebanon. At the beginning, because we inherited Palestinian nationality (Mariam’s grandfather was a refugee from Palestine in 1948), we went to the Palestinian refugee camp of Ain al-Hilweh, located in the city of Saida. There we were surprised that as “foreigners”, we weren’t allowed to enter the camp without a permit from the Lebanese intelligence service. Left helpless and prevented from entering the camp, we stayed at the entrance of the camp for many hours, until the person responsible for the camp’s mosque offered to let us stay in the mosque until we received an entry permit so that we wouldn’t have to stay on the streets. Of course, we accepted that offer. We stayed three days in the mosque and on the fourth day we got permission to enter the camp. We were in for a huge shock. Words cannot describe the poverty, the radical groups, armed activity and daily attempts to take advantage of our need for a house and daily necessities by pressuring us to join radical groups. Two days later we left of the camp and stayed in Al-Taameer, the area adjacent to the camp and under Lebanese state authority. It was there that Mariam shocked me with a question about whether we were Sunni or Shia. It was taken aback because she didn’t get those sectarian ideas from me. Rather, it was the effects of the new environment that imposed that disgusting thinking on us. The poverty there helped to spread these sectarian ideas, like insects and rodents. As a result of this shock and the lack of job and living opportunities, I decided to escape with Mariam from this place as she also was infected with lice due to the lack of children’s healthcare and hygiene. We moved to Wadi al Zaineh, near Saida. Because of the high cost of living for anyone coming from Syria – the rent for the worst houses is $500 – we were compelled to share a house with Mariam’s aunt in the southern suburbs of Beirut. Events were accelerating and the suburb was hit by a terrorist bombing, which increased the hatred of locals for the Syrians and they started to assault us. Another explosion pushed Hezbollah to take security into its own hands by erecting security checkpoints at the entrances and exits to the suburb and within it. I ended up being detained in one of Hezbollah’s buildings in terrifying conditions that were designed to send a message to the Syrians living in the southern suburb. The treatment put fear in our hearts and led us to abandon the suburb for the mountainous city of Aley. We stayed there for two months, but the high cost of living and rent forced us to leave. We were three families sharing one house, consisting of two bedrooms and a living room. The rent alone cost $800 per month, not to mention the daily expenses. We went to Chtaura in Bekaa, where Mariam could attend school even though she was two-and-a-half months late for the new academic year. It was a difficult time for Mariam because she was faced with a new curriculum and was rejected by her new environment. 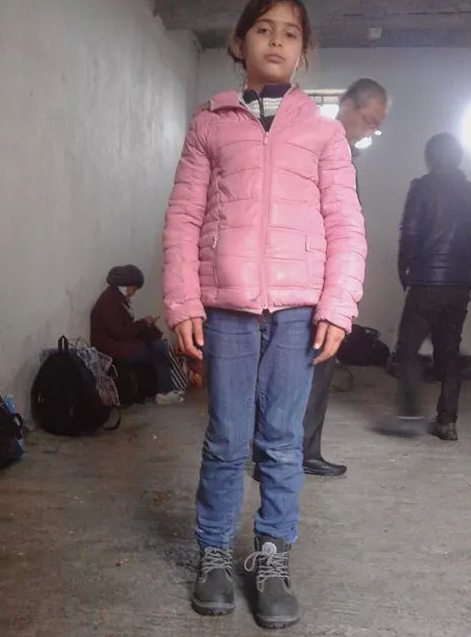 Everybody considered her as a “Syrian beggar” and that made it difficult for her to make new friends. Nevertheless, she succeeded in changing this reality and to give people the real idea about Syrian refugees. She managed to make new friends, studied the new curriculum and, finally, won a monthly award because of her superiority in the class. Our life was unstable at that time; we moved to Jalala, then to Taalabaya and back to Jalala. We went through so many houses in that city. The school year ended, but our uncertainty didn’t. While Mariam excelled in school, the security condition worsened after Jabhat al-Nusra (Al-Nusra Front) attacked the border city of Arsal and the Syrians living there were accused of supporting this armed attack. Every Syrian had become a target for attacks and insults, so Lebanon was no longer a shelter for us. Turkey was our last choice now. After some deep thought and deliberations, we went back to Syria. There, we had nowhere to go or any relatives, so we decided to stay in a friend’s house until we could move to the Turkish border. But we encountered another problem. We weren’t able to reach our friend lived because of a security checkpoint, which prevented us from entering the area where he lived. Permission to pass any checkpoint costs 1,000 Syrian pounds [which is about $6 or two days’ wages], so we spent days full of fear and terror until it was time to move to the border. We crossed a distance of 400km and it took 14 hours to reach our destination because of Syrian army security checkpoints, which stopped the bus for inspection and issued permits to cross (costing 200-500, sometimes 1,000 Syrian pounds, each time). After that we encountered ISIS checkpoints. They enforced their rules on smoking, separated women from men, and forced women to wear headscarves and veils. Finally, we reached Manbij, a city near the border. We slept there before starting our journey to the border the following morning. We encountered a lot of fear in that city because regime aircraft were bombing it heavily and ISIS were on patrol everywhere. They were arresting anybody and because we were illegally there, we wanted to cross the borders as soon as possible. The next morning, our experience with trafficking began. The trafficker took $100 from us, the cost of smuggling us into Turkey. We were transported to the border in a truck for transferring animals. There were almost 30 of us in the truck and we had to stay down so that the ISIS patrols wouldn’t notice us. When we reached the point, we began crossing over the border and were surprised when the Turkish border police started pointing their weapons at us. When all the women and children started to cry and scream, they let us return from where we had come. Then the trafficker drove us to another point where we could cross, through corn fields. We walked for an hour under the burning sun and there was no air in the fields. Many people were exhausted, but we crossed it, to reach a place where a car took us to a garage, then to a bus on route from Gaziantep to Mersin. We stayed in Mersin for two days, but couldn’t find what we were looking for, so we moved to Istanbul. There, we could already breathe the European air when we arrived in the early morning, after a 14 hour journey. Then we went to a hotel near the metro. After we had some rest, we were shocked to learn that we had been robbed. All the money we had to get to Italy – $10,000 – had been stolen. Now Mariam was afraid. She started to ask me whether we’d end up on the streets? How would we travel? Who was going to help us? What were we to do? We were in shock for days but we had to deal with it. So, I started to work at different things and I raised €1,400. It was enough money to cover our essential needs. We thought life would be difficult in Turkey but I managed to find work there and sometimes we even went on trips around the city, like tourists. We started to try cross into Bulgaria through Edirne, a border city. On our first attempt, we didn’t take the right path. The second time, we got lost, and the third time we paid €1,400 to a trafficker, via a so-called insurance office (see note below), to transfer us to Bulgaria. We walked through mountain forests for two days. On the first day, we walked for 18 hours and on second six. When we were almost there, we were arrested by Bulgarian border police. They stole all our electronics and mobiles, including Mariam’s tablet. After an hour and a half, they transferred us back to near the Turkish border and made us walk through the forest back into Turkey. We waited in Istanbul, following news of our friends’ attempts to cross into Bulgaria. When they all failed, we decided to change our route and to try to reach Greece by sea. After that, we moved to Bodrum and waited there for 10 days. All that time we received no news about crossing. But then our traffickers transferred us, despite the bad weather and the rough seas, to Izmir, the Turkish capital of smuggling, and of course we placed €1,400 in the insurance office again. 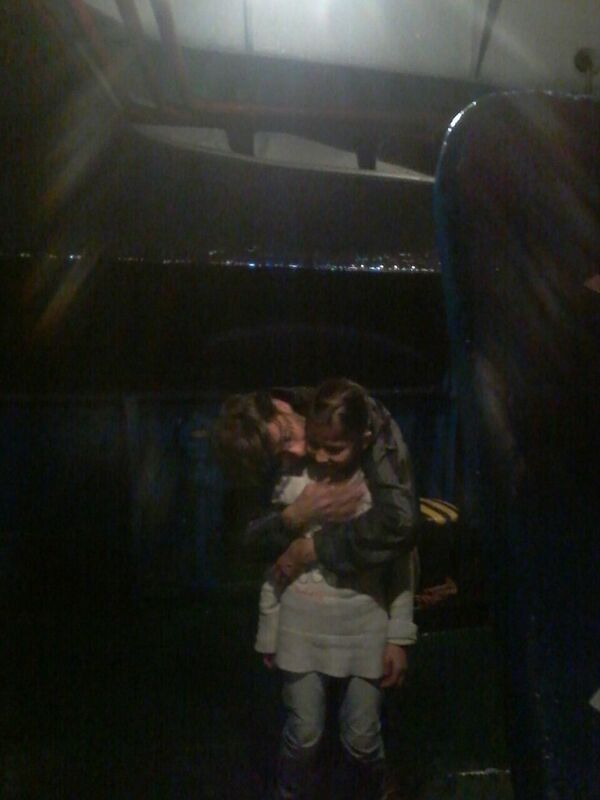 On 25 October 2014 at 8pm, we set out in a rubber boat from the area near Izmir where we were staying. The waves were very high. After an hour of sailing, the boat’s engine broke down and we had to start rowing. The passengers started arguing whether or not to issue a rescue call because the waves were getting rougher. Water began to fill up the boat, reaching Mariam’s shoulders – she was sitting on the bottom of the boat. She started to say: “Dad, I don’t want to die.” They were words that cut my heart like a knife. Panic and fear broke out. Everybody began calling for help on their mobiles. The Greek Red Cross didn’t answer our calls, while the Turkish coast guard said they are not responsible because we were in Greek waters. After six hours of torment, at 3am a passing Russian ship heard our screams and we were rescued. Someone on our boat could speak Russian, another one could speak Turkish, and a third could speak Greek and English. The Russian captain talked to the Greek and Turkish authorities, but both refused to accept us. After 18 hours, the Russian captain claimed that the Russian authorities had contacted the Turkish side and asked them to accept us. So, we were taken back to Turkey. The Turkish coast guard took us back to Izmir, where they threw us in prison for two days in inhuman conditions without food or drink or warmth for the women and children among us. After that, they took our fingerprints and let us go. The next day, the trafficker took us back to Bodrum, where we made our second attempt. This time, there were 25 of us on the boat. We set off at 9am. The sea was calm and there was no wind. After two hours’ sailing, the Greek coast guard arrested us. At the start we were afraid they would send us back to Turkey, but they took sympathy with us after they saw our children. We were then taken to Kos island. First, we were detained in an open place with no protection from the rain or sun. Then we were taken to a police station, where we were kept for three days. 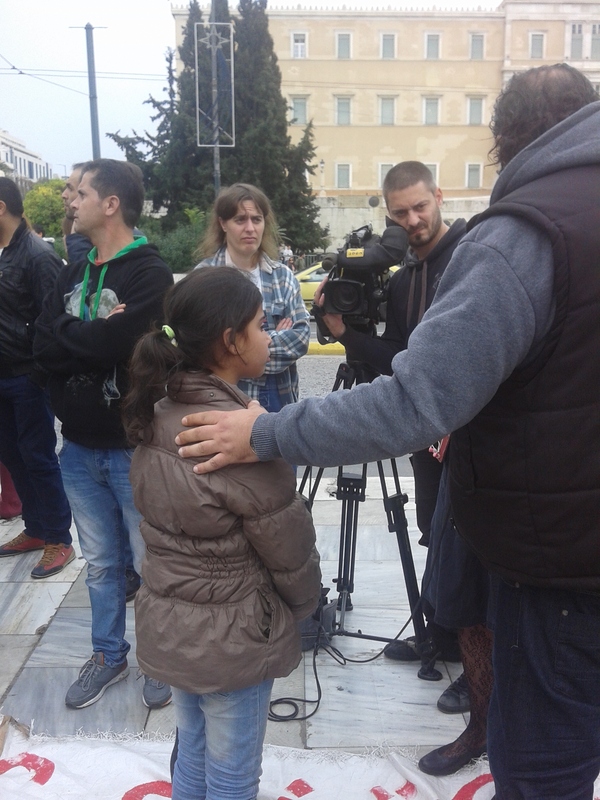 On 1 November 2014, we were released and allowed travel to Athens, our dream destination. Our dreams of arriving, working and studying were all shattered upon facing the reality of Athens. Mariam experienced some very hard days and cried so much as she attempted to learn the Greek language. She had lost all of her belongings in the sinking boat. Then we travelled to Thessaloniki, hoping to make it over the border into the Republic of Macedonia. But on the way from Thessaloniki to Polykastro, a town near the border, we were stopped and arrested by the police. We were detained in inhuman conditions for many hours and then they sent us back to Thessaloniki. We slept for two days out in the open, and tried again as Mariam had enough and wanted to leave. On our second attempt to reach Polykastro, we walked along the railway line and we slept in the forest and continued walking during the day. We managed to cross the border and walked through forests during the night. It was so cold. Mariam was freezing and then I made a call for help. They rescued us by sending us back over the border. Then I called the Greek police for help. They came and saved Mariam, and they sent us back to Thessaloniki by train. More than 2.5 years after they fled Damascus, Mariam and Mohammed’s journey continues. Note: Syrians and other refugees making their way from Turkey to Europe make contact with traffickers via so-called “insurance offices”. At these offices, they negotiate the price for a crossing and lodge the required sum to a money transfer account (like Western Union) in the name of the insurance office. However, the insurance office only receives the code to access the fee upon the successful and safe arrival of the “customer” in his or her destination. Syrians say that they usually share the code with relatives or friends in their destination. Syrians say this system ensures that it is in the trafficker’s interest to see his “customers” arrive safely. It also means that if one attempt at crossing fails, the trafficker must arrange an alternative at no extra cost. Thank you for telling us your story. I have learnt so much. Thank you Mohammed and Mariam for telling us your story. It is really important because we can learn so much from you. I certainly have and for that I thank you. I hope life is now better for both of you. What a sad sad story – thank you for telling it. I hope that one day all the Miriams and Mohammeds of this world will be able to enjoy the privileges we Europeans enjoy as a “right” and take for granted! Damian, so glad to read you again!! Missed your posts! Hope that you are well. I was wondering if you could post on the state of affairs in general in Greece because we are hearing (the greeks of the diaspora) that we should not come this year because of “katastaseis” and of general unrest. People are actually worried about being robbed. Is the unrest more than normal? But, but, but….I’m so glad to read you again!